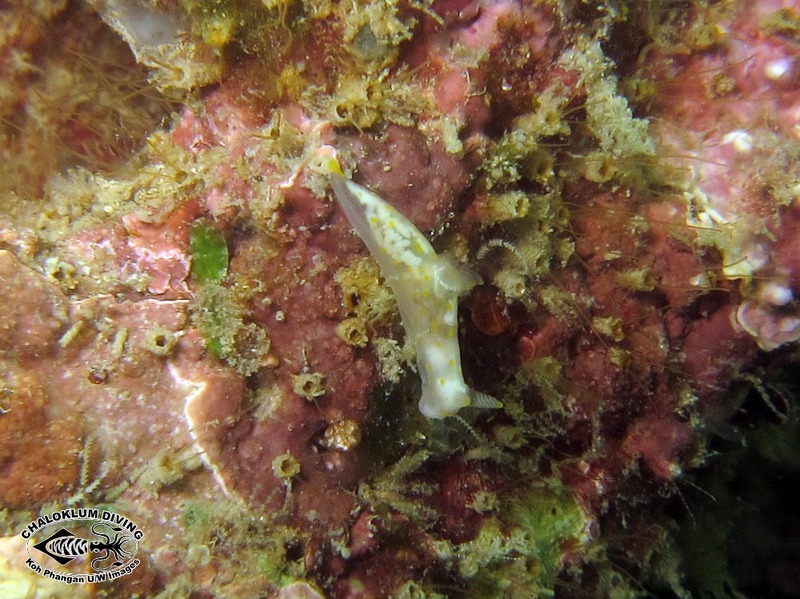 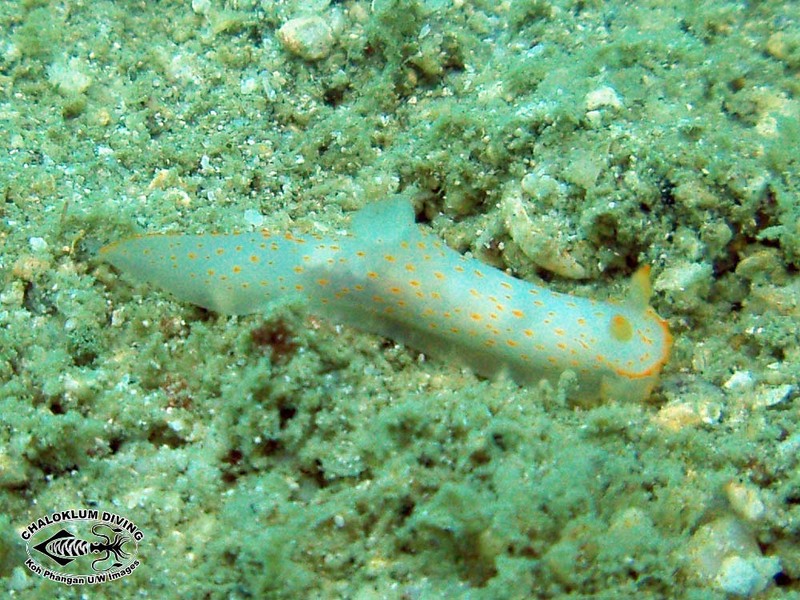 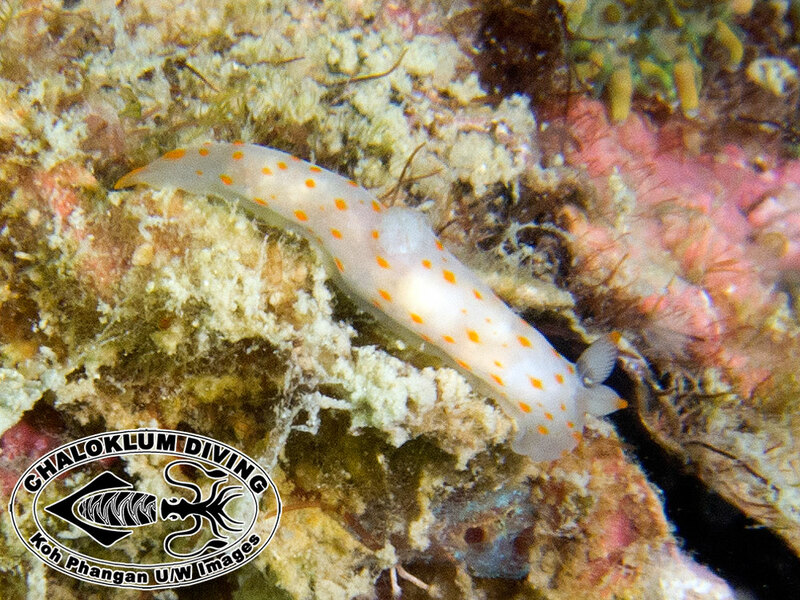 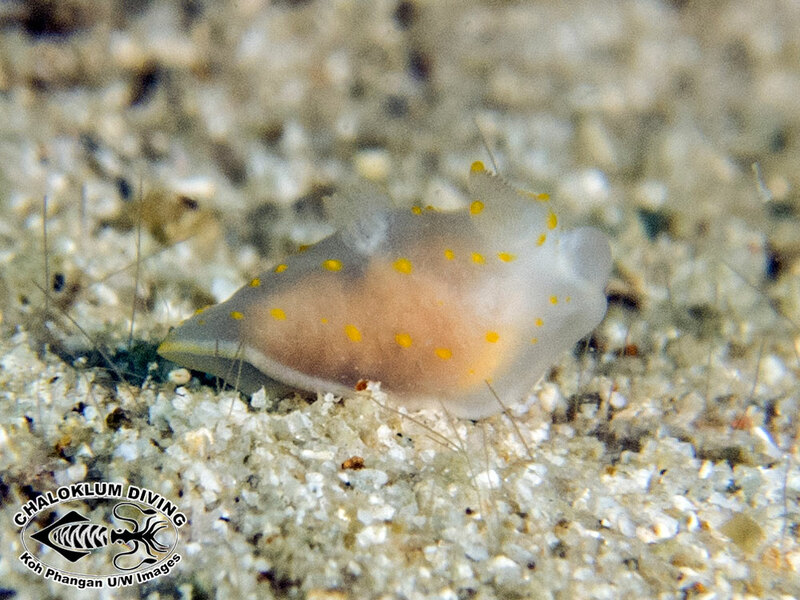 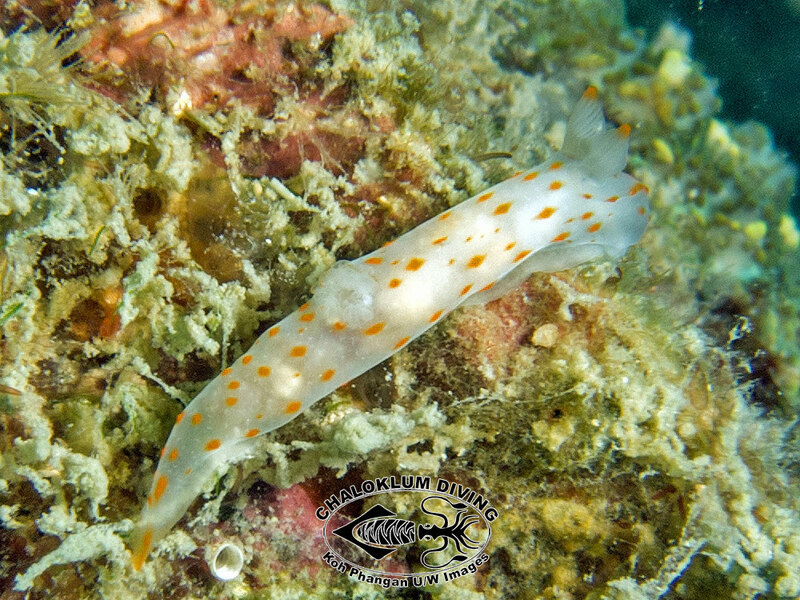 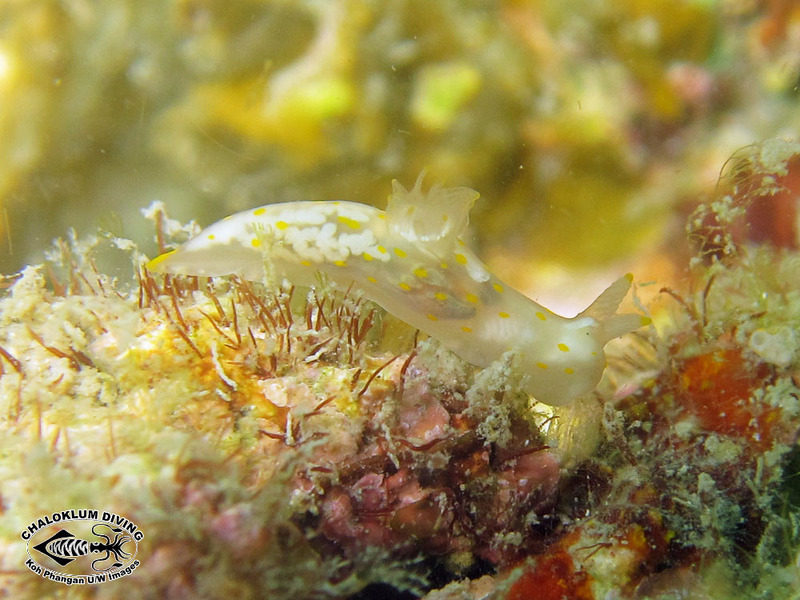 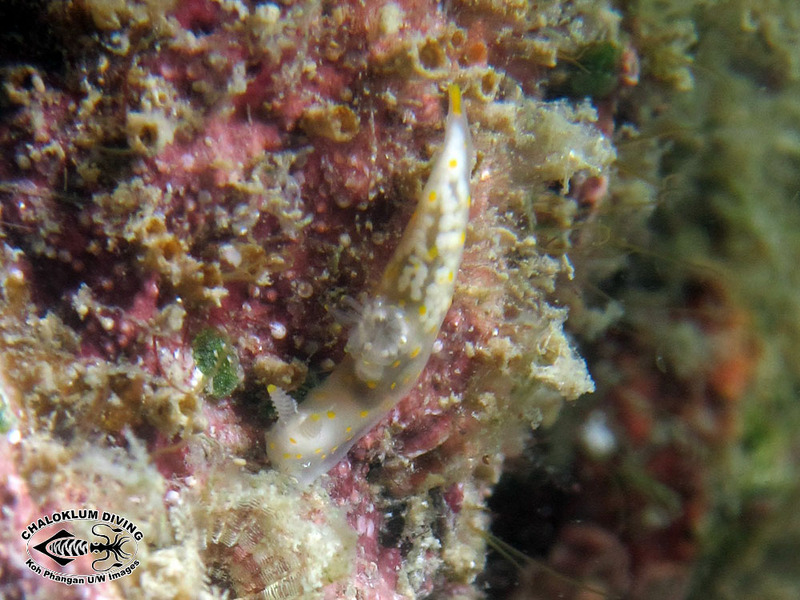 Our most recent photos of Gymnodoris alba were taken when diving at Koh Ma and in Chaloklum Bay; both Koh Phangan local dive sites. 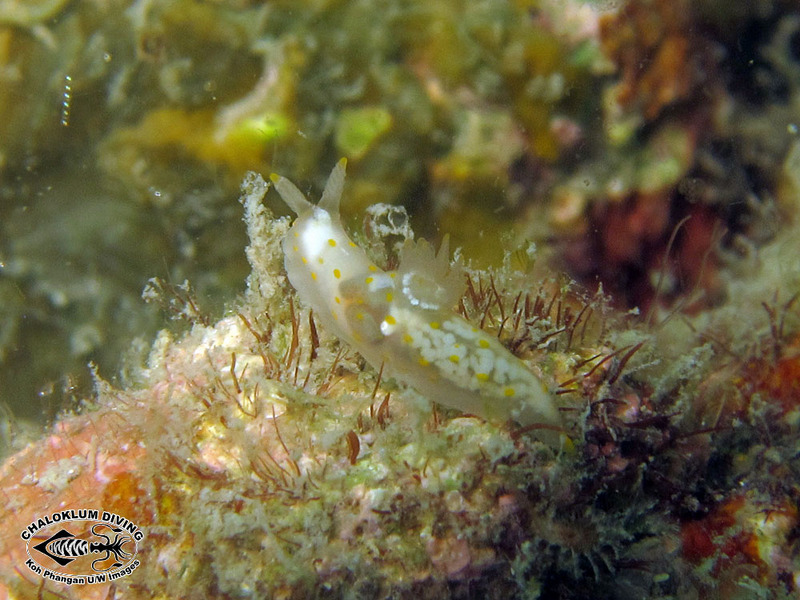 Assuming that all very small, yellow spotted, white Gymnodorid nudies were called “citrina”, I so named them. 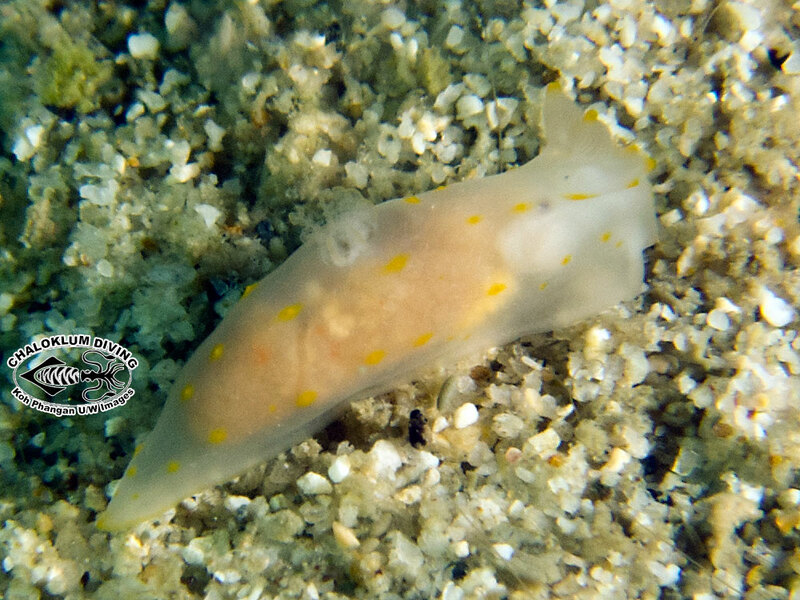 Wrong – again, hahahah!